This article is dedicated to School Loop's Plus product and can be accessed directly from your School Loop account. You can click the question mark icon located at the top-right of every page in your portal and you will find a number of resources to help you find answers. As good as the help website is as a self-help tool, there are times when online help just is not good enough. For those times, you need a real person to answer your questions. During the school year, the support agents are available within normal business hours. The help team is not available on weekends, but the incoming tickets are monitored for emergency situations that cannot wait until Monday. Also, the help team is not available on holidays. 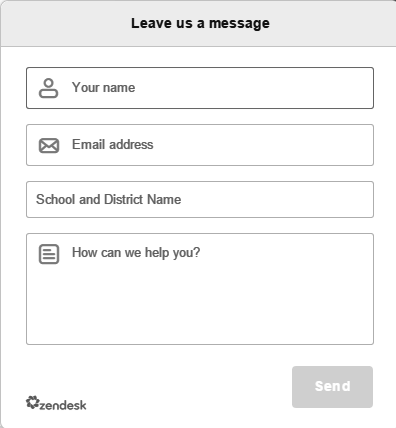 To submit a help ticket, use the red question mark link at the top-right of every page in your portal and then click the personal help link (pictured above). Submitting a ticket in this fashion automatically includes information about your account, which allows the help center to better help you. You can always email for help at help@schoolloop.com. 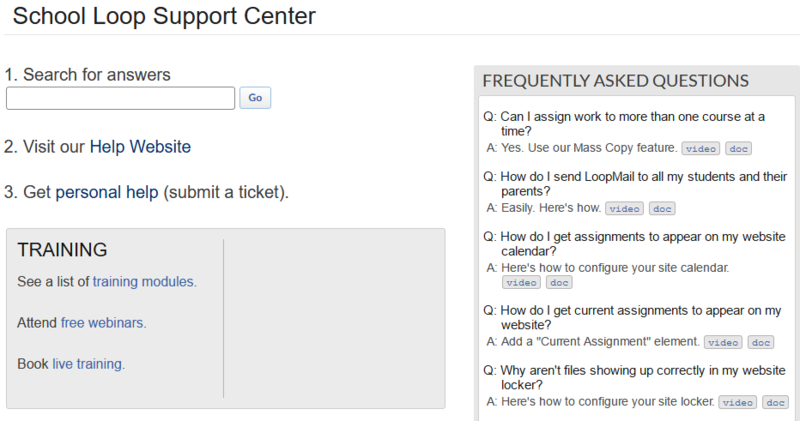 If the answer is not available on the help center, use the Help button on the bottom-right side of any page to quickly submit a ticket. Fill out the form and click Send.